More than half of adults in Britain are struggling with bills and repaying their debts, with more than 26 million facing significant monetary woes. This number has gone up by more than nine million since 2006 and reports suggest that 18 million Britons routinely run out of money before payday comes around. When you are trying to deal with your debts, sometimes the amount of different options on offer can seem quite baffling. There are Iva’s, debt relief orders, debt management plans, bankruptcy orders and more. To help you decide which of these options – if any – might be right for you it is important to have at least a basic understanding of how they all work before agreeing to go down a set course. Today then we’re going to take a quick look at debt management plans. 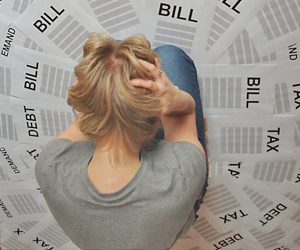 If you have debts of more than £1,000 owed to at least 2 creditors and are struggling to make the repayments, then you may be eligible to apply for a debt management plan. A debt management plan centralises your debt into one payment that is set to be affordable for the debtor and agreeable to the creditor. A debt management advisor will speak to your creditors on your behalf and work to negotiate a new repayment plan more conducive to your earnings. Your creditors may be happy to accept a lower rate of repayment as it will give them confidence that you are pro-actively seeking to pay your debts and are seeking a plan that will help the debts be paid. You will be expected to make just one payment a month to your debt management plan advisor and it is their responsibility to then distribute this between your creditors as agreed. You will then receive monthly updates regarding how your payments are being allocated. Your debt management advisor will negotiate the rate of repayment with your level of disposable income in mind, tailoring the package to your particular needs and your access to funds. When determining your repayment rate, the advisor will seek to find a conclusion that will ensure that the totality of the debt is repaid within 10 years – potentially leaving you debt free within the decade. A debt management plan is quite fluid, with the advisor revisiting it once every 6 months to ensure that all parties are still comfortable with the agreement. This is particularly helpful if your monetary situation has changed since the initial agreement. If you have suffered a loss in earnings, then it may be possible to renegotiate a lower repayment amount. Alternatively, if your finances have improved or you have been the recipient of some sort of financial windfall, then a higher rate of repayment may be agreed to ensure that your repayment period ends in the shortest time possible. Additionally, once a plan has been agreed upon, your creditors will be legally obliged to not contact you and pester you for the repayments. This will hopefully allow you to continue with your life as normal again. At the beginning of this post we mentioned that there are many different debt relief options available, so it is important that you research all the available options to decide which one is right for you. Debt management plans may be able to help you avoid the severity of bankruptcy but the fees added by the provider can sometimes outweigh the benefits, so be sure to look into those fees before agreeing to a plan. 2 Responses to How does a debt management plan work? I didn’t know about this debt management plan and it seems that it would really good for both the creditor and for us. Thanks for explaining this briefly. No problem Marie, glad you found it useful!